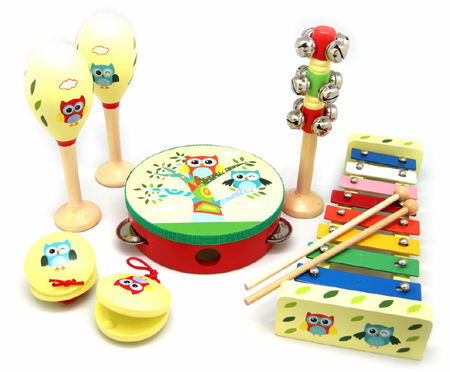 Wooden 7pcs Music Set Owl contains a pair of Maracas, 2 castanets, bell stick, tambourine and xylophone with 2 beaters. This beautiful wooden music set is wonderfully decorated with an owl theme. We like this because: "Everything you need to start your band!. "